"Lord, please use our lives to make a difference for you. Use the gifts you gave us, for your purpose and glory." Carroll, Brenda, and Casey Turner have made a committment to walk through the doors that God opens. 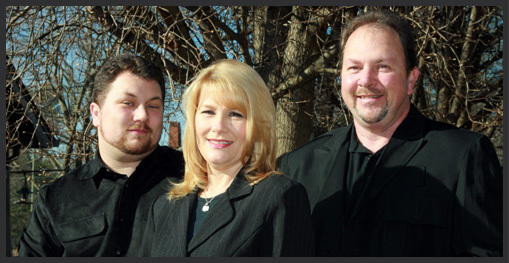 This family trio have been blessed to work with some major talent like Michael Combs, the Crabb Family, The Talley Trio, and many others, but the local church is where their heart is. When God's people come together to worship it is magical and this is where the real privilege of service is for Crimson Cross. Crimson Cross has just been awarded Sunday's Best Musical Performance Certificate of Honor by St. Carolyn Atwood. Crimson Cross is the 1st place Winners of the 92nd State Annual Sing Mixed Trio division. This song was written by Carroll and Brenda Turner. As we looked at the many bad things going on in the world God through this song reminded us that God is still in control. He is still on His throne and He will come for us. Some of us will meet Him in the clouds and some of us before that, but he will greet all of us with His arms open wide. To God be the glory!